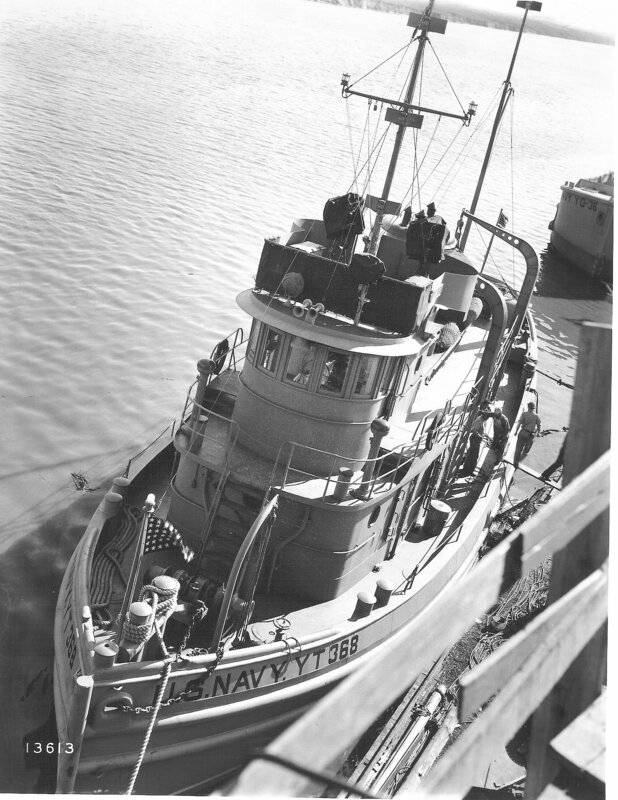 Laid down in late 1943, as Shahaka (YT-368) (hull # 228) at Gulfport Boiler & Welding Works, Inc. at Port Arthur, TX. 775k USS Shahaka (YT-368) moored pierside at Gulfport Boiler & Welding Works, Inc. Port Arthur, TX.